This latest version has improvements to all areas of the product and several completely new features. In addition, the software maintains the same look and functionality of older versions, making it easy for staff to use it right away. 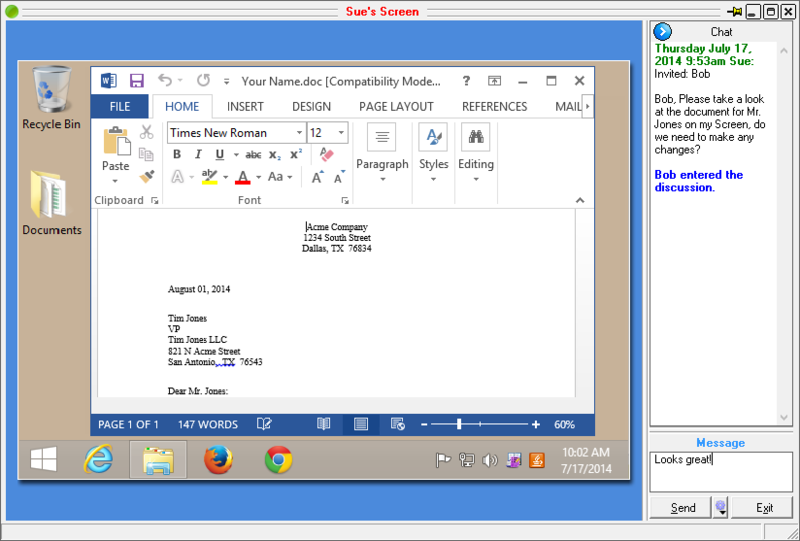 Screen Share Feature Office automation has never been better! With the new PHONEslips ScreenShare feature, project collaboration with anyone in your office is just a few clicks away. Share your screen and chat at the same time. You no longer need to ask someone to come to your office, just to show them something on your screen, or to go over document modifications. 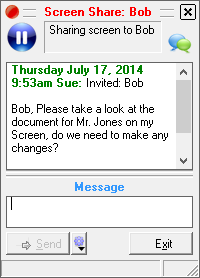 Save everyone in your office valuable time by using the new PHONEslips ScreenShare feature. Your uses for this feature are endless. You will wonder how other offices work without it. 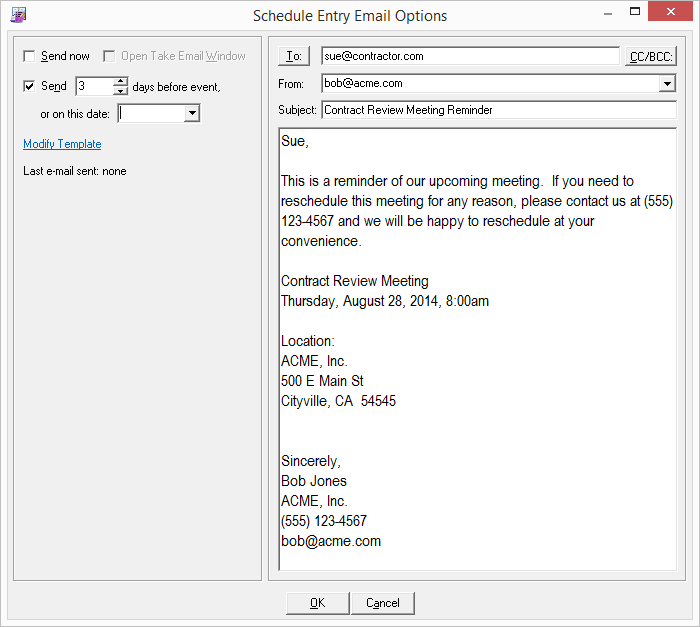 Appointment Reminders More options to have automatic e-mails sent to clients to remind them of future meetings. It's also great for internal scheduling. Attach files to schedule items, send multiple events via email at the same time and more. PhoneList Color coding and vCard Support Now you can more easily organize your PhoneList and also send entries from the list as vCard e-mail attachments. 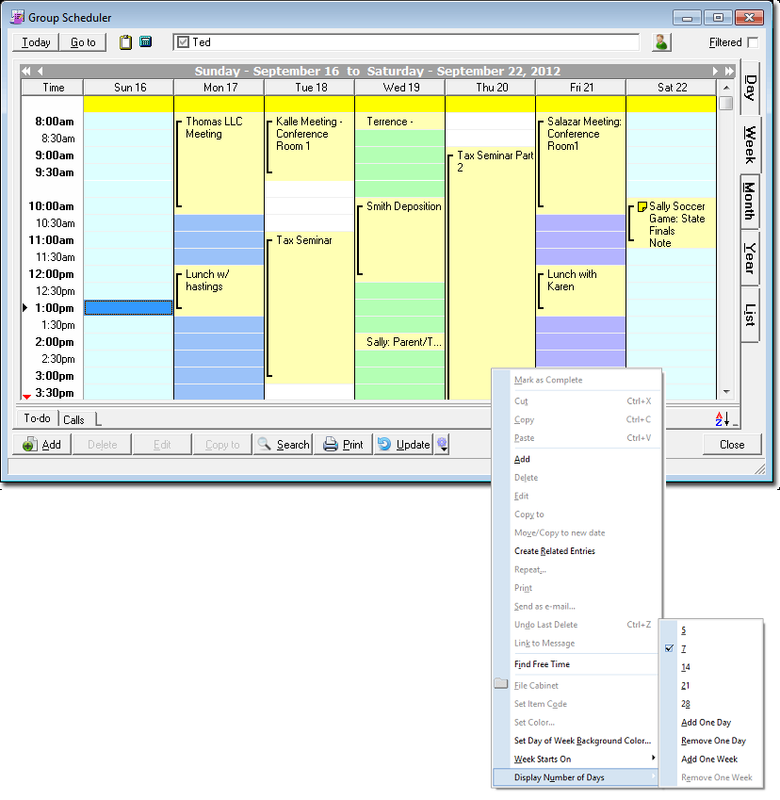 More Dashboard Options HTML email viewing, message status notifications, optimized for large inboxes, more context menu options, copy & paste a schedule item and more. You already use PHONEslips for all of your office communications, now you can also use it to log your personnel work time! 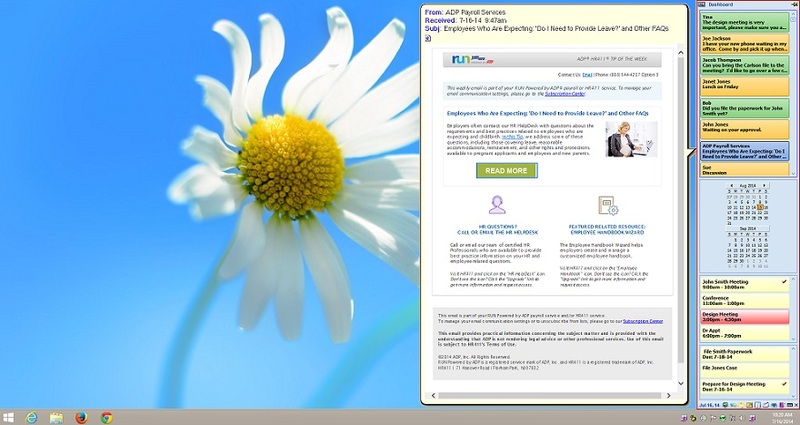 Everyone can create a Time Card for the Payroll Department in the same program you already use every day. Employees have up-to-date sick pay and vacation eligibility information. They can now submit their timecard electronically to the Payroll Dept, or print them for supervisor approval. They can even submit a pre-filled out Time Off form. Server system time accurately clocks your time in and time out. Or optionally allow for free-form times. Use it the way that best fits your office requirements. Now when you schedule or change an appointment with a client, you can have an automatic reminder e-mail sent to them with details. You can customize the e-mail template and have the details of the schedule item show up in the [Details] section as seen in this sample. Messages have a new Status field that let managers mark a message as incomplete, pending or complete. The field is shared between all copies of the message, so everyone knows at a glance when it’s complete. A new field lets you just type in a word or phrase and have your messages quickly filtered to show just those results in a folder. Now you can search your PHONEslips data in seconds. Even with over 100,000 messages, you can find a result in 6 seconds! Have you ever wished you could send text messages using your full computer keyboard? Now you can! This new feature allows you to send text messages from PHONEslips. Sending text messages is as easy as sending other messages in PHONEslips. Like other messages, a copy is saved in the sendlog for your records. The recipient can even reply, and the reply will come back to your PHONEslips inbox. A new text message address field has been added to the PhoneList, so you can also store text message addresses for each contact. Best of all, you do not need a mobile phone or calling plan to use this new feature. 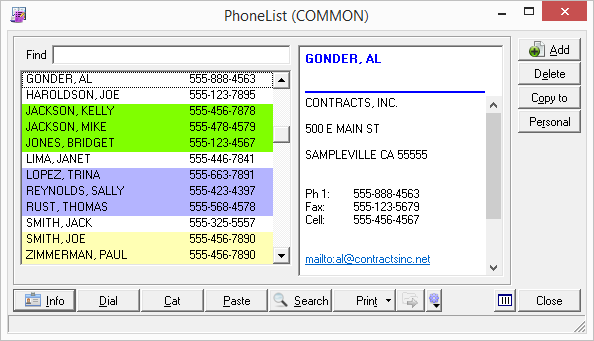 The Switchboard is a powerful feature that allows you to manage telephone lines. You can track incoming and outgoing calls, and also transfer calls to one or more users in your office. The users will be notified they have a call holding, and can answer the call, transfer it to someone else, or request that a message be taken. When combined with the Call Log and Phone Message features, you now have a complete system for tracking and recording all phone calls. An administrator can use this information to see who is holding, who is on the phone, and also view a history by reviewing phone messages and call logs. Prior to this feature you may have been sending messages or using your intercom system to notify users of incoming phone calls. This could be confusing and intrusive, especially if transferring a call to multiple users at once. With the Switchboard, if one user takes the call, all other users will know that the call has already been handled. Also, the caller's information is available at the click of a button, making it unnecessary to repeat the caller's information each time a call is transferred. If you like the new Quick Launch buttons on the Dashboard, now you can fit even more of them, without making your Dashboard too wide. New search feature works just like popular Internet search engines - just enter some text and away it goes. Even shows result summaries. New discovery rules require tracking e-mail correspondence - this new feature lets you keep a copy of every Internet e-mail that goes in or out of the office through PHONEslips. Write letter feature, brings up Word with the contact information pre-filled in. More informative schedule event notification messages and the ability to 'go to' the schedule item.